You certainly wouldn't go to this rough-and-ready noodle joint for the ambience, but if Hototogisu's decor – crudely painted black walls and an L-shaped counter – leaves much to be desired, the food is spot-on. 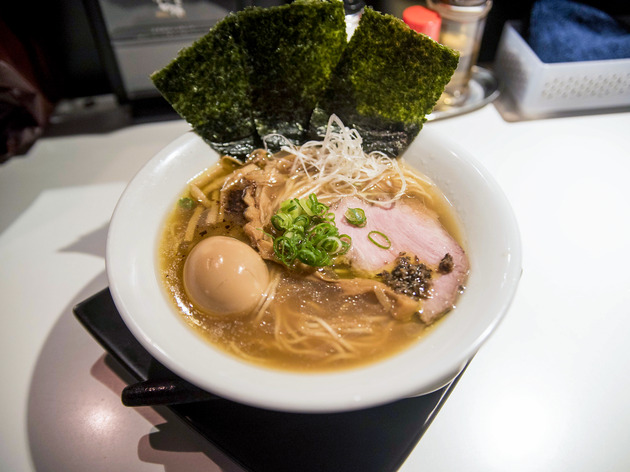 The secret of its ramen lies in the balance between the pork and seafood stock, which really lets the flavour of the shellfish come through. 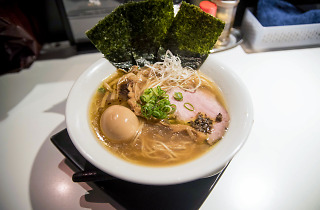 Located near the north exit of Hatagaya Station, Hotogisu has several menu options; the ajitama soba (soy-based) and ajitama shio soba (salt-based; both ¥950) are equally good, and choosing between the two can be a heart-wrenching decision. If you stop by on Thursdays, you'll find the place transformed into 'Ura-Hototogisu', where the speciality is gokunibo, another sterling bowl of ramen that's made with dried sardine stock. Tue-Sun 11.30am-3pm, Tue-Sat 6.30pm-9.30pm, closed on Mon.